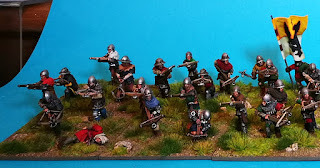 All Claymore Castings painted up as 5 units of Crossbow. 3 bases per unit on 60mm by 60mm mdf bases from "Warbases" , giving a 180mm frontage. I'll be mostly using these with Simon Miller's "To the Strongest" rules and " Swordpoint". Flags are from "Flags of War" . I love to see those Crossbowmen in such numbers. Just beautiful. Thank you for sharing! Thank you! I do love a bit of Crossbow. 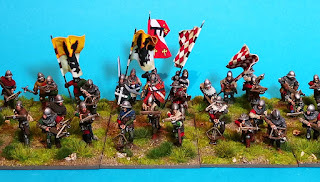 Some real nicely done stands of crossbowmen. I wish I could paint as well as you. Amazing figures. Yep, you are the painter benchmark for my money. Really effective steel work. Are your shields transfers or do you paint the damage yourself? The shields are painted. Thanks for kind words guys. Wow, great work! Love your scenic bases! Fantastic work! 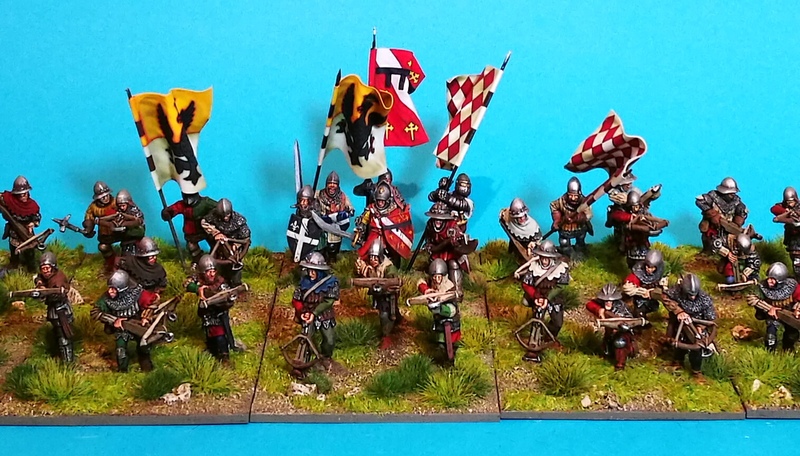 I really like the way the basing unifies the troops and creates mini dioramas. Beautiful painting and basing, love these Crossbowmen !